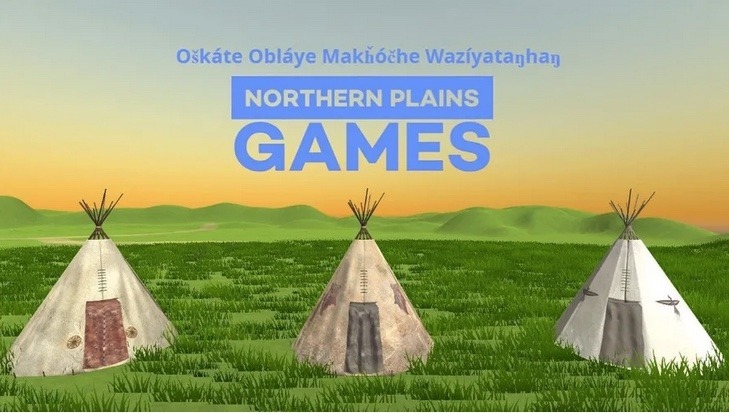 The visionary behind the game design company Northern Plains Game Design is a Dakota State University student and an enrolled member of the Cheyenne River Sioux Tribe. Carl Petersen’s business ambitions recently received a $10,000 boost from Olympic gold medalist Billy Mills’ non-profit Running Strong for American Indian Youth. Petersen was among 10 American Indian youth under age 30 awarded a Dreamstarter grant to build entrepreneurship initiatives in their communities. According to a report by the Argus Leader, Petersen is putting the funds toward his development studio on Cheyenne River. Petersen’s start-up will produce video games in Lakota — made by and about Native Americans. His games will empower users to practice the Lakota language through interactive play. Petersen will provide the games to schools to encourage youth to engage in their language and culture. His first game, Tipi Builder, invites players to build traditional Lakota tipis using instructions and stories in the Lakota language. Northern Plains Game Design will release the game in 2020, and eventually adapt a version for mobile platforms, the AP reported. Over five years, Running Strong has given away fifty $10,000 Dreamstarter grants to support Native youth’s dreams. The nonprofit launched the Dreamstarter program on October 14, 2014, to mark the 50th anniversary of Billy Mills’ gold medal win in the 10,000 meter race at the 1964 Tokyo Olympics. Learn more about the Dreamstarter grants at http://indianyouth.org/DREAMSTARTER. Kevin’s dream is to help teachers revitalize and strengthen comprehension and communication of the Navajo language. Through his initiative, Hashké – Hozhó Design & Collaborative, he will create culturally relevant educational materials for the modern classroom and distribute them throughout his nation. Jacob’s dream is to empower young Indigenous people through video storytelling. His media production company, Arrow’s Journey Indigenous Initiative, will create a series of videos that inspire Native youth by telling the stories of other young, successful Native people. He will also create an internship opportunity for youth to gain experience in film. David’s dream is to build and open his own tire repair business in Kyle, following the footsteps of his great grandfather. His business will make these repair services more accessible in his community. 14, Nazlini, AZ, Capacity Builders, Inc.
Hope’s dream is to use her artwork to encourage youth and help them understand Navajo culture in a new way. She will create comic strips about Navajo creation stories that address issues faced by youth in her community. She will sell them at local gas stations & grocery stores and will hold art workshops in local elementary schools. Freddy’s dream is to provide communities the opportunity to engage in cultural programming as a means of increasing their economic and social impacts. His business, Lead Horse, LLC, established the Powwow+ program to help communities bring in revenue by hosting powwows. He will use this grant to help launch the 2nd Annual Young Professionals Powwow+ Trade Show and Convention. Aukea’s dream is to bring traditional foods to his community and engage youth in traditional food production. He will expand his business, the Swine Project, by building the infrastructure necessary to produce and sell traditional pork products. He will use and teach youth ancestral methods of meat preservation, and make this infrastructure accessible to youth who have similar interests in animal husbandry and supplying Kohala with traditional foods. Parrish’s dream is to expand his business by investing in infrastructure that will streamline his business process and in social media marketing tools. He will also use his grant to invest in other young entrepreneurs and attend training to further develop his entrepreneurial skills. Joshua’s dream is to create a Native-owned, socially-conscious coffee roasting company. He will partner with existing Osage Nation organizations to distribute and sell the coffee. He plans to allocate a portion of the gross profits to education, hunger relief, and substance abuse prevention programs within the Osage Nation.